Dylan Hysen, Hayley Nabuurs, & Andy Potter recap Episodes 1 & 2 of new Rooster Teeth series gen:LOCK, “The Pilot” & “There’s Always Tomorrow”. 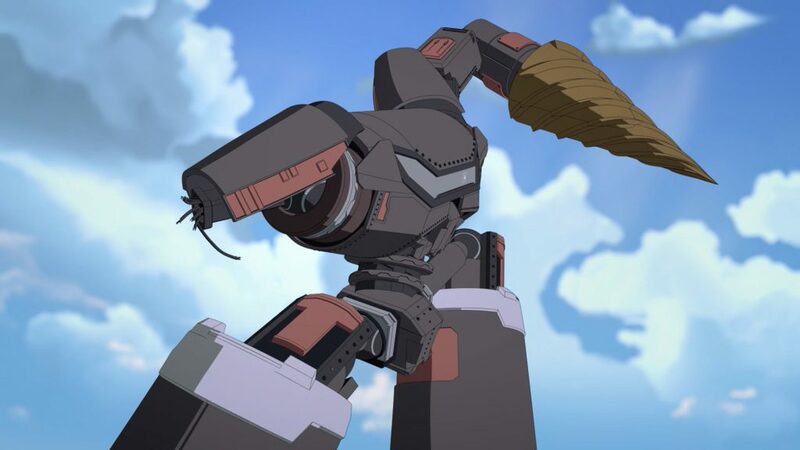 You know how in Voltron, the Paladins wiggle their control sticks and pull the triggers, and sometimes that makes the lion fly really fast, but other times it makes the lion shoot a laser or swing its paw? That’s because Voltron is magic and it reads minds. The standard walkers in gen:LOCK are machines controlled with buttons and sticks that (ostensibly) each do one thing. There’s a limit to how much fine control you can get with mechanical input. So what you’re saying is that in Voltron the paladins are gen:LOCK’d to their lions and that gen:LOCK is a prequel to Voltron: Legendary Defender?? ?